I made this card for my Demo meeting swap. It's not what I was trying to achieve but it was close and I still think it came out pretty well. 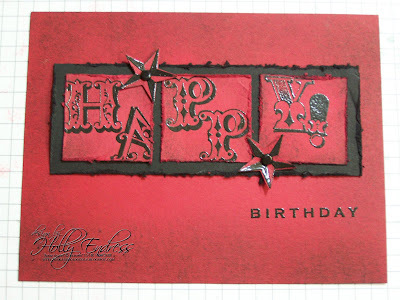 There is stippling and embossing featured on this card. I aplogize for the resolution of the video. My Flip video camera software has gone on strike, so I had to edit the movie in three different programs to get the final result and I lost the resolution along the way. And the stand I normally have my camera on broke..So I was having many issues with this. Hope you enjoy it anyways.